In 1999, New Directions Youth & Family Services, Inc. was formed as a result of two, long established partners, Wyndham Lawn Home for Children in Lockport, NY and Randolph Children’s Home in Randolph, NY, deciding that a merger would allow each organization to draw upon the strengths of the other, and ultimately provide higher quality services for children and families throughout western New York. And what a history these two organizations have. 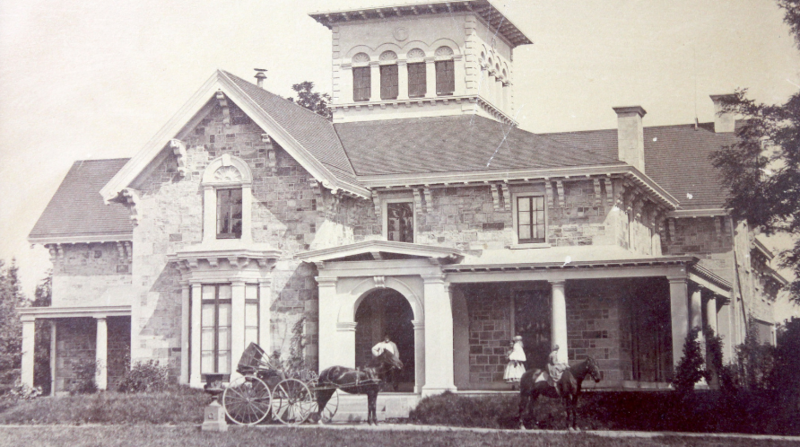 Wyndham Lawn was started in 1871 by charitable individuals in Lockport to care for children orphaned by the Civil War. Similarly, Randolph Children’s Home began to meet the needs of neglected and abandoned children in 1878 through the efforts of Rev. Charles Strong. The foundation of each was the compassion of communities to bring stability and hope to vulnerable children and families. Countless children benefited from the loving, stable, nurturing care given by the dedicated staff in the context of a caring community. This mission continued for many years. In the 1960s and 70s more and more children came to the Homes with increasingly complex needs. In addition to the nurturing, education, and life skills they received, therapeutic treatment services were introduced to address emotional and psychological needs. In the next few decades these services became more focused and central to the missions with a commitment to support healing and fostering permanent, stable homes. Many children also needed less intensive, step down services that were more community based and focused increasingly on permanence and family stability. Foster care services were developed along with agency operated boarding homes, a residence for parenting youth, and preventive and mental health programs that helped to maintain children in their own homes. Educational services were made increasingly available to students from surrounding school districts. In the late 1990s, Wyndham Lawn and Randolph made the strategic decision to merge and form New Directions Youth and Family Services. This initiative allowed us to draw on the strengths of each organization, expand our continuum of care, and develop new services tailored to meet the needs of children and families. Normative Culture was introduced as the foundation of how we operate as an agency and how staff, children and families interact. Centering on our norms of safety, respect, responsibility and goal setting we created a culture that can truly transform lives. In the following years New Directions has greatly expanded its role in prevention and family, strength-based service. Our trauma sensitive approach has been implemented with extensive training and research and continues to develop and evolve. We are increasingly data driven in what we do and focus on the highest standards of best practice. New Directions believes in fostering good in everything we do. Thousands of caring, professional staff have lived out that ideal in the service they have given since the 1800s. Families and children have experienced positive, productive lives as a result of their efforts. We know they have practiced “fostering good” in their experiences and communities. We respect our history of caring and look forward to future opportunities to foster good in the lives of those we are proud to serve. Our roots go back to September 1865 when the Lockport Ladies' Relief Society and Home for the Friendless is organized to dispense relief to needy families as the Civil War is ending. 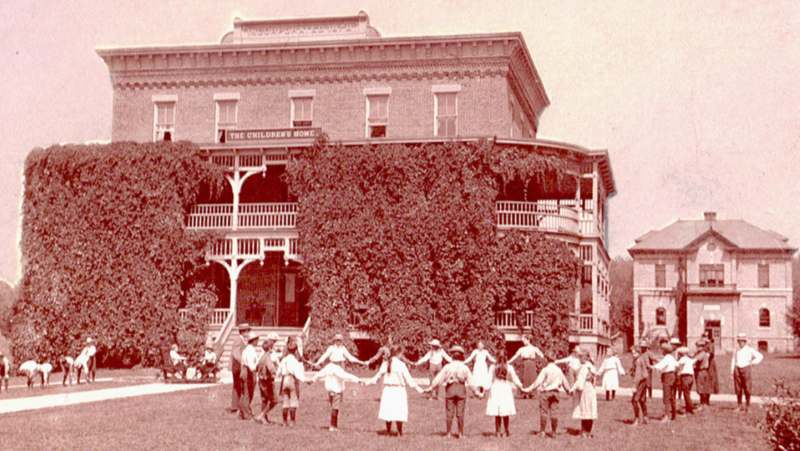 Randolph Children’s Home began to meet the needs of neglected and abandoned Cattaraugus County children in 1878 through the efforts of Rev. Charles Strong. In the 1960s and 70s, a growing number of children came to the Homes with increasingly complex needs. In addition to the nurturing, education, and life skills they received, therapeutic treatment services were introduced to address emotional and psychological needs. In the late 1990s, Wyndham Lawn and Randolph made the strategic decision to merge and form New Directions Youth and Family Services; drawing on the strengths of each and expanding our continuum of care. Normative Culture is introduced as the foundation for all we do. Before an organization can build its vision of success for the future and the roadmap to get there, it must fully understand the realities of its current state and operating conditions. Accordingly, the planning process begins with an assessment of New Directions external environment and the current factors and trends that most greatly impact the organization. Mission: New Directions fosters resilient, self-reliant youth and families and permanence for at risk youth by promoting a culture of respect, responsibility, and positive, goal directed living. Dedication: We are hard working, compassionate, and committed to serving our youth, families, and communities. Integrity: We are honest, ethical and consistent in our actions and values. Optimism: We firmly believe in the potential for positive change. Continuous Improvement: We are creative and innovative and use outcome measures to promote best practices. Diversity: We are culturally sensitive and respectful in our interactions. We value diversity in the workplace and the communities we live in and serve. Community: We foster a positive, team-oriented work environment and engage with our communities as positive citizens.